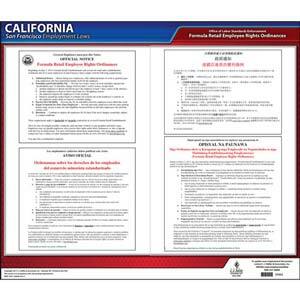 State specialty poster covers non-discrimination information. 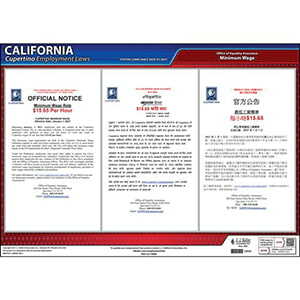 Specialty poster covers Minimum Wage requirements. Specialty poster covers minimum wage requirements for Cupertino, California. 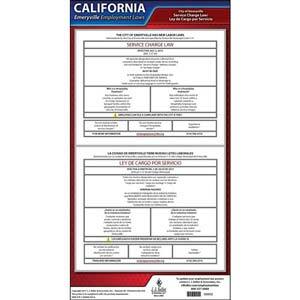 Specialty poster covers Minimum Wage & Paid Sick Leave requirements. 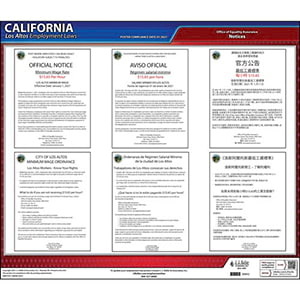 Specialty poster covers Service Charge Law Requirements. 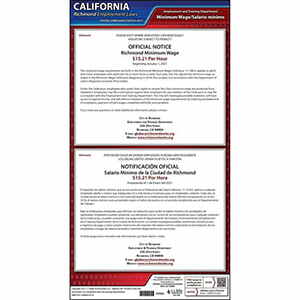 Specialty poster covers minimum wage requirements for El Cerrito, California. 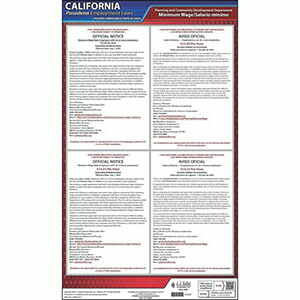 Specialty poster covers Minimum Wage & Employee Rights requirements. 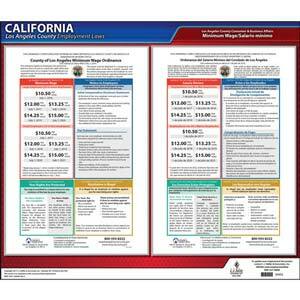 Specialty poster covers Minimum Wage, Paid Sick Leave & Fair Chance Ordinance requirements. 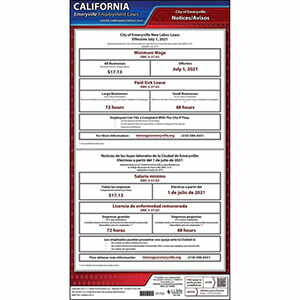 Specialty poster covers minimum wage requirements for Los Angeles, California. 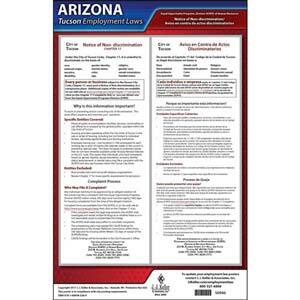 Specialty poster covers the Living Wage Ordinance requirements. 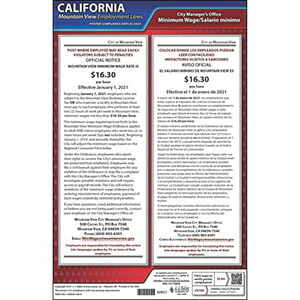 Specialty poster covers minimum wage requirements for Mountain View, California. 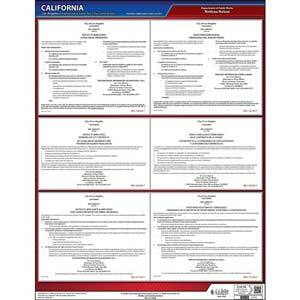 Specialty poster covers minimum wage requirements for Palo Alto, California. 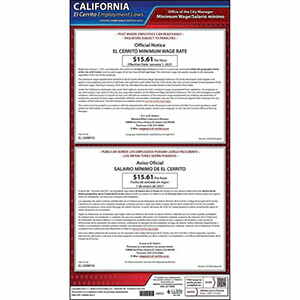 Specialty poster covers minimum wage requirements for Pasadena, California. 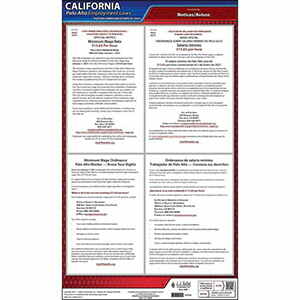 Specialty poster covers minimum wage requirements for Richmond, California. 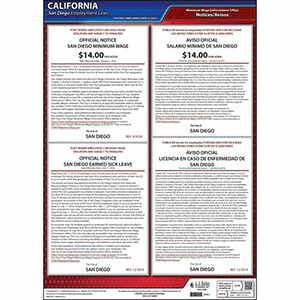 Specialty poster covers Bill of Rights for Formula Retail Establishments.